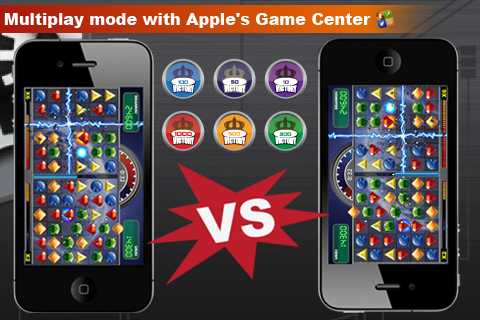 Now.. it's a BATTLE with other players in Game Center.! Swap colorful jewels and break them for new jewels! ★ JEWEL VS. JEWEL: now.. BATTLE MODE ! Finally, Battle Mode came out with new update 2.0. Enjoy Battle Mode for 1 minute on 6x6 board for each. 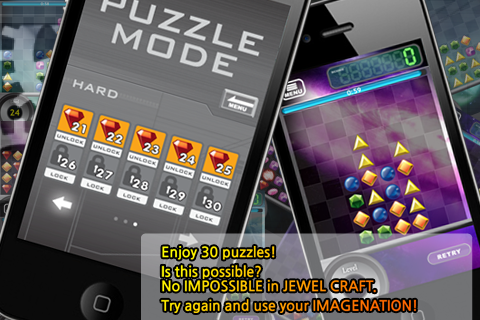 The ONLY puzzle with MULTIPLAYER (battle) MODE! 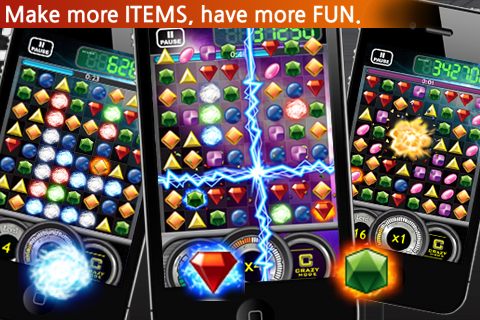 Enjoy with all your buddies and Game Center friends! Win more, and get achievements and pride! Win your friend seeing his LIVE play and score. 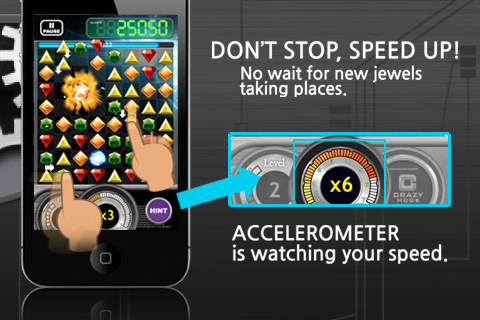 Accelerometer is checking your speed. Don't stop to wait new jewels taking places. Switch ANY 2 adjacent jewels. Jewels will not be rolled back in any case. You can make any items on purpose. There's no reallocation between levels. Break all the jewels on board. It's not so easy. You'll need an active brain. 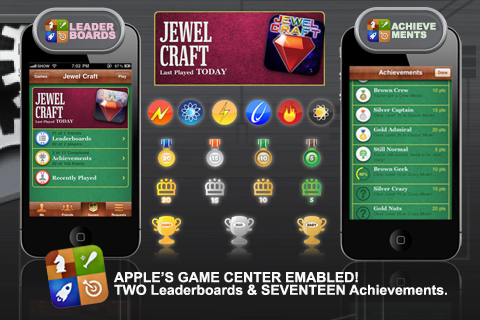 Submit your High Score to Game Center, and check your Ranking!! Play more and Earn Medals, Trophies and Crowns. Check how far from these in the Game Center! Sonic Boom - Echoed Speed Hit x8 of Accelerometer. Tachyon - the Faster-than-Light Hit x12 in Accelerometer. Afreet - Master of Fire Fire 100 Bomb Jewels total. Indra - Super Stormer Light 100 Lightning Jewels total. Shiva - the Destroyer Fire 100 Plasma Jewels total. Supernova Eve Collect 10 Plasma Jewels in a game. Do you need help to solve puzzle? Here is a spoiler for Puzzle 29 and 30. TRY FREE VERSION! 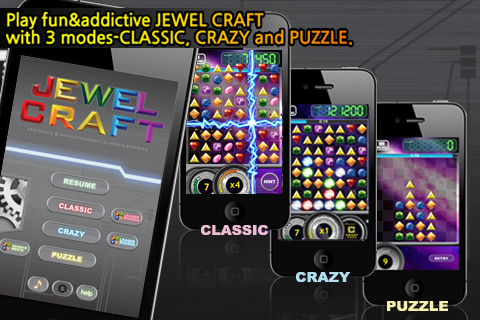 Jewel Craft HD Lite! !